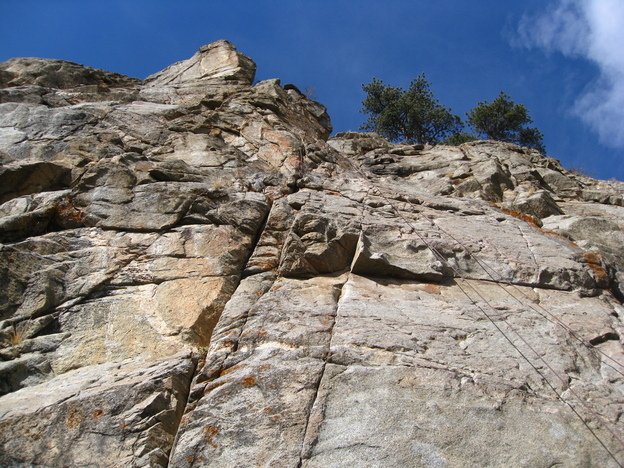 Sunday I went rock climbing outdoors for the first time ever! On a real mountain cliff made by Mother Nature. I went up Boulder Canyon, just a ten minute drive out of town, with a few other folks from the CHAOS outdoor club. We scrambled our way up the tricky path to the Plotinus Wall and did some sport climbing. It was fun. This week I'm taking a lead climbing course so I'm able to be more helpful climbing outside next time.